3:35pm-The bill to improve access to drug rehabilitation to rural areas has been introduced and read for the first time by the Opposition. 3:37pm-The bill seeks to use education to target vulnerable people. 3:44pm-The opposition speaker says children in rural areas are most susceptible to drug addiction as there is a lack of facilities. 3:46pm-Opposition acknowledges the expense of public transport to rehab centres and suggests a public transport discount of 50% for young people travelling more than 10km to rehab. 3:48pm-Government speaker describes a list of ways the opposition has missed the mark, including not addressing mental health. Government says we should be supporting funding to community projects in rural areas rather than funding workshops where it’s not guaranteed people will show up. Online education is easily accessed, they point out. 3:54pm-Opposition speaker says rural communities are often neglected, and he emphasises the importance of education from a social network, not just experts. 3:58pm- Opposition says not all young people go to school and so an external facility – like a sporting area – should be used as an alternative. “They’re using buzzwords to distract us from the truth.” – Youth Premier. 4:00pm- The Youth Premier refers to a scientific study tested on rats as an example of how recreation activities work just as well to keep drugs away. 4:04pm-The Opposition has a problem with the public transport discount. He says 10km is arbitrary and is the same as a “walk to McDonalds”. It can be easily exploited and instead, rehab should go to the drug sufferers. 4:08pm- “The closest rehab centre from Horsham is in Melbourne. Three hours away.” He speaks slowly, for effect. 4:10pm- Opposition member shares an emotional anecdote from “the ice capital of Australia”. She says without this bill, the problem will only get worse. 4:14pm- “Would we be forming a rehabilitation myki card?” Government speaker says it would add to public discrimination and is wasteful to tax payer dollars. 4:24pm-Clause changed to remove the word “illicit” as prescribed drugs can also be addictive. 4:27pm- Bill passes with the necessary ammendments, 29 to 15. 1:00pm- The parliamentary debate to reform the VCE Bill has commenced. 1:05pm-Hoppers Crossing Secondary College: To ensure a range of different learning methods and extracurricular activities including work experience, are recognised in a students ATAR. 1:07pm-10 hours of involvement and extra curricular activity to boost ATAR scores. 1:10pm– Gannawarra Shire:The whole point of an ATAR would become completely overlooked. 1:11pm-Opposition say 10 hours is not enough! 1:12pm- Could lead to subjectivity in marking. 1:14pm- Hoppers Crossing Secondary College: exams place a large disadvantage to those that don’t typically appeal to traditional learning. Exams focus on the technique of ‘wrote learning’ . 1:16pm- VCAA cannot assess whether students will develop vocational skills. 1:19pm- Hoppers Crossing Secondary College-3 people marking the exam or 1 person? Leads to subjectivity. Also 30% of an individuals ATAR can’t be determined by 10 hours of vocational and extracurricular work. 1:20 pm-To eliminate subjectivity, assessment will be done by regular log booking. An ECAA representative will make regular visits to ensure students to not forge or leave their log booking to the last minute. 1:23pm- ATAR should not be determined by how a student preforms on one test or on “one day of your life”. 1:42pm- Gannawarra Shire-There is more than 1 way to get into university. The atar score is very heavily important where exams scores are very heavily important. 1:49pm-: The bill will now be considered by the committee. 1:58pm- Results: 43 that refute any amendments to Clause 8 compared to 10 supporters. Result is defeated. 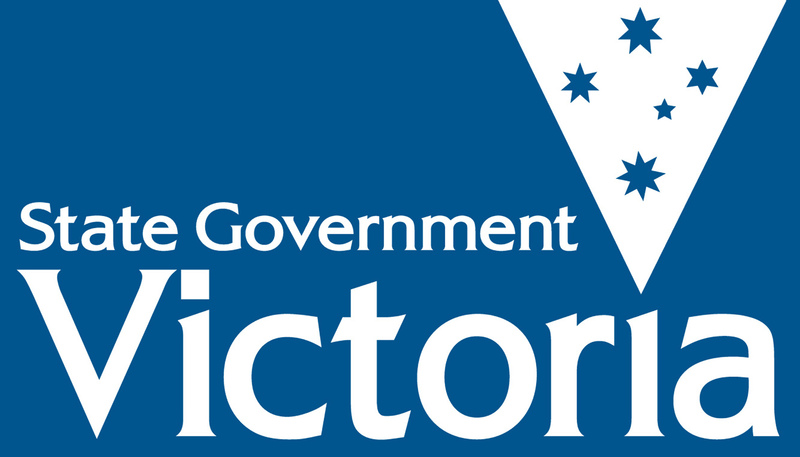 2:02pm-: From a slim 29 to 24, the VCE reformation bill has passed. 2:18pm: We’re back in the Legislative Assembly for more debates. 2:33pm: Advocates of the bill tell the story of real veterans and how to better offer them support. In the Legislative Assembly debating the bill for veterans support. 2:39pm: Resources will not be used efficiently according to the refuters of this bill. 2:43pm: Opposition notes that rural veterans may live too far away to access services for veterans. 2:45pm: Sponsors of the bill say veteran support will be made compulsory because veterans can brush off counseling. “We’re looking out for them,” they say. 2:47pm: Opposition questions why support should wait until veterans return from involvement in the defence force. 2:48pm: The focus should be on peer support, according to opponents of the bill. 2:50pm: Opposition is greatly disappointed by the dismissal of women’s role in the defence force. 2:58pm: Veteran support takes away their freedom. 3:02pm: Amendments to clauses now being debated. 3:07pm: Addition of a clause to create a 24-hour hotline being debated. On the one hand, support is great; on the other, it requires “unsustainable” resources and time. 3:14pm: The veterans support bill has passed unanimously. Posted on June 27, 2016 June 28, 2016 by vicpressgalleryPosted in 2016, Live FeedTagged Spring st, YMCA Youth Parliament.